The Zambian president is elected directly by individual Zambian voters. The winner of the president is not determined by the number of provinces that voted for him or her, because provinces do not vote. So it is mischievous or downright folly to say that Hakainde Hichilema can not be president because he won in only four or three provinces. In some countries such as South Africa and UK the people vote for the party then the leader of that party or another person (rarely) chosen by that party becomes president or prime minister. There are countries where the winner is determined by the number of regions that voted for him. In Zambia, the president is elected directly, and separate from members of parliament. So it is also erroneous for the PF to suggest that because the PF won more parliamentary seats, their leader won the presidency. There is simply no connection. The living example is that of Levy Mwanawasa who won the presidency in 2001 but had only a few MPs compared to the opposition. Moreover, this assertion that Lungu won in more provinces is also misleading. The PF is desperately trying to convince people that HH was rejected in other provinces. A closer look at the ECZ results on their website, questionable as they are, show that in fact, HH is more represented, by supporters, in all corners of the country than Lungu. But this fact does not sit well with the PF tribal agenda. You can do your own check on the ECZ website but we have picked a few constituencies from the provinces that the PF wants to cheat that HH was rejected. Is it not an insult to the 5, 442 people of Nchelenge who voted for HH to suggest that HH has not support in that area? What about the 4, 260 Chimbamilongo residents who voted for HH compared to the 10, 927 people who voted for Lungu. Are you telling us that this 40 per cent residents of Chimbamilongo who voted for HH do not matter? Lets look at Vubwi. 2, 223 people voted for HH while 6, 023 voted for Lungu. In Sinda, 5, 020 people voted for HH compared to Lungu’s 9, 625. All these people do not matter? The PF should not even mention Copperbelt. Just Chingola is enough to shame the people trying to say that the people of the Copperbelt rejected HH. Lungu got 19, 711 votes while HH received 15, 549. Can you honestly say this is rejection? The truth is that in some constituencies such as Masaiti HH beat Lungu. So where is the rejection? On the other side, you will find that Lungu was getting almost zero votes. For example, in Bweengwa in Southern province or the now popular DunduMwezi (Mountain Moon). In Bwengwa Lungu received 327 votes compared to HH’s 21, 316. Now, you will recall that Lungu visited Bweengwa earlier in the year. But do you remember what he did? Instead of renovating the damaged, old schools there, he directed ZNBC and other government media to take photos and blame, insult Hichilema for the state of the schools. Up to date, the schools are still lying in ruins. And you expect the people there to vote for Lungu? 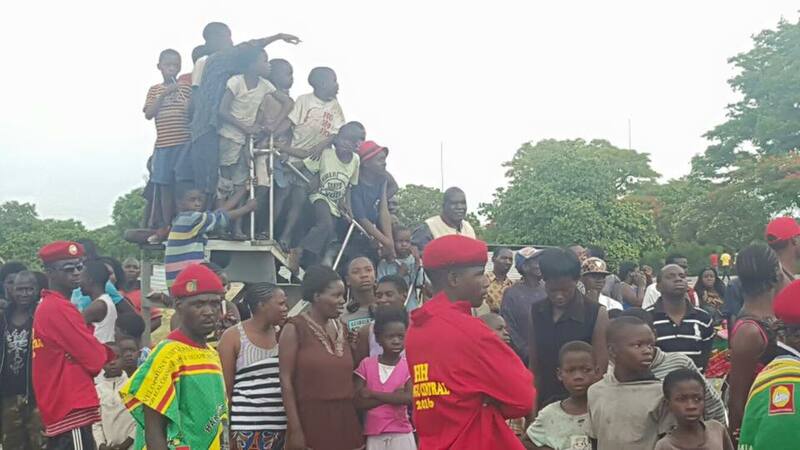 Did Lungu campaign in Dundumwezi for him to receive votes? There are records to show that HH visited all corners of the country hence he scored very good results everywhere. The point here is that HH has more support in all parts of the country than Lungu. It is these silent people that HH and GBM are fighting for even in court. Had it not been for rigging, Lungu and HH would have received roughly equal the number of votes from Lusaka. But then, this is the matter in court. The results given to Lungu in Lusaka are wrong, they were inflated while the votes for HH were reduced. That is the heart of the matter.